Food and Beer fest features unlimited beer tasting, delicious island food and great entertainment. It promising another fun filled day with beer, food trucks and music. The event will feature dozens of local and international craft beers. 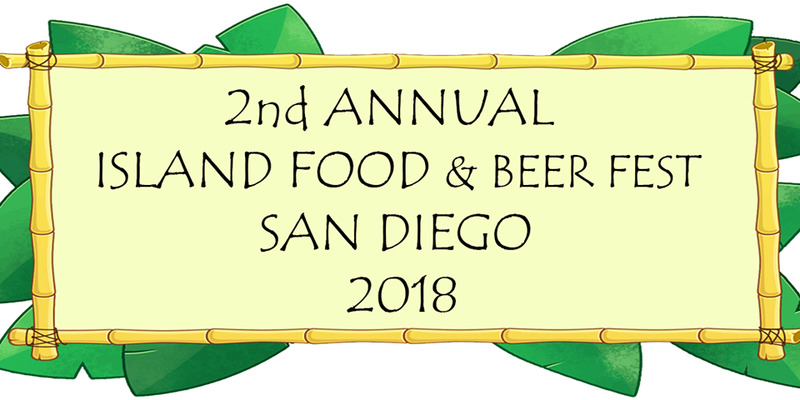 Coconuts & Cocktails is excited to bring the "2nd Annual Island Food and Beer Fest" in beautiful Downtown San Diego. We thank everybody who participated and attended our inaugural "Island Food and Beer Fest" event last year! This year's Event will be bigger and filled with more surprises and entertainment! Details to be announced at the Fest! Arrive by 12:30pm to be entered! * Early Entrance to the Event beginning at 11:00 am. * Unlimited Samples of Beer from 11:00 am until 2:00 pm. * Unlimited Food Samples from 11:00 am to 12:00 Noon. * Swag Bag, including Souvenir Cup. * Two (2) Drink Tickets available from 2:00 pm to 4:00 pm. * Entrance to the Event beginning at 12:00 Noon. * Delicious Island Food for Purchase. * Access to Games and Raffles. * Access to Village of Vendors. * Access to Live Entertainment. * Two (2) drink tickets for Soda or Water only. * San Diego Local Island Band "Akua Pono"
* REIGN Island Reggae Band from L.A.
See you at the Fest! Mahalo and Cheers! Mabuhay!